The Indian Railways will roll out a new Vikalp scheme on April 1, under which wait-listed passengers can get an option to travel in premium trains like Shatabdi and Rajdhani. Under the new reservation scheme called 'Vikalp', or alternate train accommodation scheme (ATAS), passengers who have booked tickets in other mail or express trains, can avail the option of travelling in premium trains to their booked destinations with no extra cost. The aim to roll out such a scheme is to utilise vacant berths in premier trains. 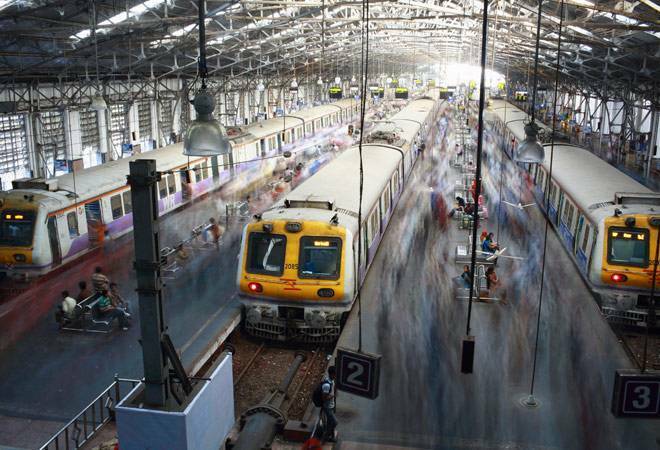 From April 1, those with wait-listed train tickets will get an option of selecting a "Vikalp", an alternative choice of any other train on the same route, if the original ticket does not get confirmed on the day of the journey. Describing the scheme as a "passenger friendly" move to provide confirmed accommodation to waitlisted passengers in alternative trains, a senior Railway Ministry official said, "We aim to achieve the twin objectives of providing confirmed accommodation to waitlisted passengers and ensure optimal utilisation of available accommodation by this scheme." Known as 'Vikalp', the alternative train accommodation scheme aims to utilise vacant berths in many premier trains including Rajdhani, Shatabdi, Duronto and other special service such as Suvidha trains in all major routes. After introduction of flexi-fare system in premier trains, some berths were going vacant while at the same time many passengers could not be accommodated in other Mail/Express trains due to huge demand. Currently, railways is running the scheme in six routes including Delhi-Lucknow, Delhi-Jammu and Delhi-Mumbai sectors since November 1, on a pilot basis. The system is available for online ticketing now, but it will eventually be extended to over the counter sale. A software is being made for this purpose. Passengers who opt for the 'Vikalp' scheme while booking tickets will get SMS alert on his/her mobile phone informing the passenger of berth confirmation in an alternative train. However, if a customer does not like the alternative and cancels the ticket, it would be treated as cancellation of a fully confirmed ticket. Railways has to forego about Rs 7,500 crore in a year in refund to customers for cancellation of tickets for various reasons. Meanwhile, the Railway Ministry is also planning to link Aadhaar with concessional ticket booking. The Ministry is already in talks with UIDAI for linking Aadhaar number with the booking of concessional tickets to prevent misuse of subsidy facility by unethical elements.